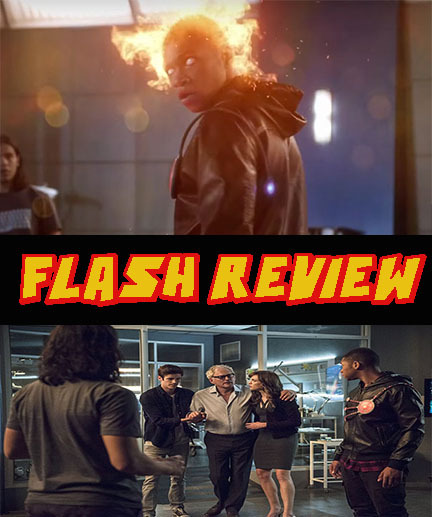 Joining Team Flash this episode is non-other than Jefferson Jackson (Jax) the new counterpart of FireStorm. We begin 2 years ago with the particle accelerator explosion, which caused Jax promising football and college career to take a drive after getting injured. Little did he know, he’d become so much more… that’s what this episode is about. Professor Stein’s health is deteriorating without Ronnie’s partnership and so the Team must find a new FireStorm counterpart. Two fit the bill, and after several tests, they both seem like the prefect matches. One slightly older and a scientist, the other a young mechanic. They decide to talk to both, Barry and Prof. Stein meet with Jax, but he’s completely unwilling to even talk. Caitlin meets with Mr. Henry Hewitt and tells him almost everything! One thing I always say is never give away all your cards… yeah it’s an old saying, but seriously Caitlin needs to learn it! Needless to say, Mr. Hewitt was not a match, but the contact with Stein did activate his Meta abilities and the anger and resentment of not being chosen is the fuel he needs to become a villain. Jax does eventually comes around, especially after he sees the damage Hewitt does. Yes, he’s a match and now they have to save Jax old school Football field from Hewitt. While the Team is dealing with the FireStorm Crisis, the West family is dealing with Momma West. Iris comes to the meeting with her big girl pants on and tells her mom in short, “You missed 20 yrs, you can miss the rest! Leave and don’t blame dad, I’m the one to tell you this.” Francine is devastated, and plays the ‘I’m Dying’ Card. Joe, who I really don’t like in this episode, is like ok, that makes it all ok, and I believe you without a second thought. I don’t know he just really bothers me in this episode taking everything a face value. I hope he redeems himself soon. The opposite is said for Iris! She is strong and smart in this episode. Iris was willing to forgive her mother and let bygones be bygones, which is totally understandable, until she learns the other secret. 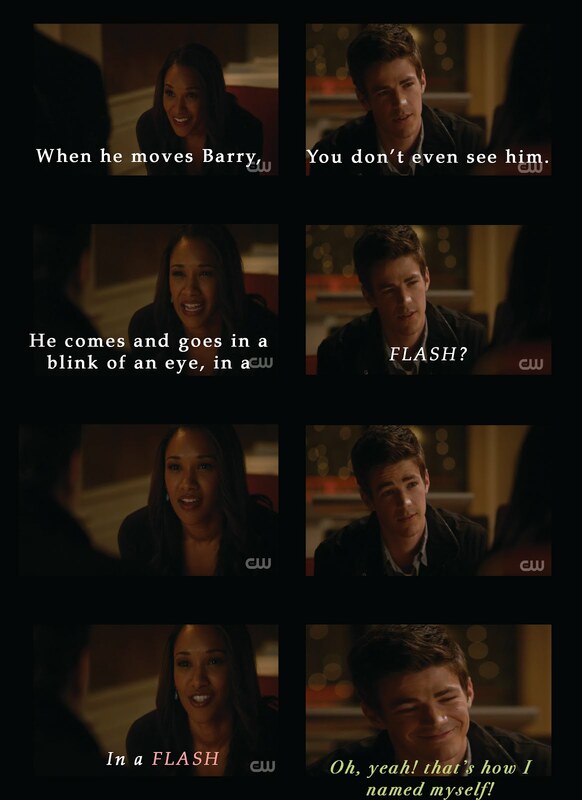 She has a Brother… Wally West maybe? When will we see him? Where will we see him? At Momma West’s funeral? In the Station? At Jitters? So Curious. Patty and Barry’s relationship is just so awkward and kind of trying too hard, that I’m not really liking or disliking the interaction, I’m just waiting for it to go somewhere. Hopefully that happens next week! Honestly though, I don’t see it last long at all. I’ve heard several people say, she’s gonna die or be forced out(like randomly blown off to Earth 2 with no way back), or even something will happen that will make them hate each other… I don’t. I think it will be a simple/not-so-simple parting of the way. Barry and Patty are literally identical twins in personalities, which means they’re too similar… They’re both ultra geeks, they love the same things, they’re both horrible liars, and etc. It’s fun and great at first, but then it gets boring really fast. Lastly, who the F— could have predicted King Shark! That was the Only unpredictable thing that happened in the episode! And it was Awesome! This episode was merely mediocre, until King Shark! That bumped it up a few bars!